The multi engine rating allows the student to fly an airplane with more than one engine. This rating can be used for the initial Private, Commercial certificate, Certified Multi Engine Flight Instructor certificate, or be added to either after the completion of that certificate. The student must have a Student Pilot Certificate, a Private or Commercial Pilot Certificate, and at least a 3rd class medical prior to beginning of flight training. 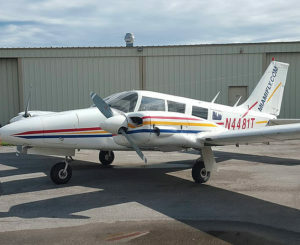 The Piper Seneca, PA-34-200, is the aircraft to be used for this aircraft rating. Weight, balance and density altitude calculations. The cost of a commercial, instrument, multi-engine add-on is approximately $280 an hour depending on learning curve.